A person's theological education does not begin at the Orthodox School of Theology at Trinity College nor does it end upon graduation. A fundamental assumption of the MDiv curriculum is that education in theology is an ongoing process of responding to the various forms of ministry to which Christians are called by their baptism. Theological field education provides students with an opportunity to establish specific learning objectives of expertise in the art of ministry under the guidance of experienced parish clergy or other well-qualified supervisors. Students should meet with the MDiv Director early in their entering term to plan an appropriate course of activities/studies. Before the full-time internship begins, each student must complete a minimum of 120 hours in an approved placement under an experienced supervisor, in addition to participation in the Theological Field Education Seminar. TRD 3010YS Ministry (two credits): a full-time 14 week supervised placement in an approved ministry setting (not necessarily a parish). TRD 3020HS Christian Education (one credit): a major educational project, planned and executed by the student during the placement. 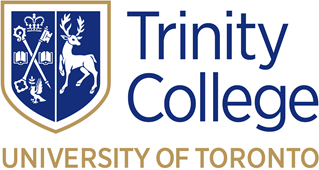 TRD 3030HS Theology of Ministry (one credit): participation in a theological reflection conference at the end of the internship (late April), as well as writing a major integration paper, which is completed during the summer following the internship placement. The student will focus on one or more aspects of ministerial practice which have been identified as an area of special interest (or as an area needing improved competency) during the internship phase. This will involve supervised practice, reflection or training in areas such as community ministries, justice ministries, homiletic skills, vocal training, spiritual formation, teaching and hospice work. The goal of the field education and internship is not simply applied practice, but enabling students to stretch their personal comforts and grow spiritually, and to encounter and minister to people in a variety of situations and circumstances, building empathy and understanding, revealing Christ in new ways, and uncovering new applications of an Orthodox MDiv education and training to today's world. Each student makes a written proposal for the project no later than the first day of the term in which they plan to graduate. Timelines for the project are flexible and will depend upon the learning goal of each particular student. Honours MDiv candidates may (with their thesis director's permission) use the special project as part of the research process for their graduating thesis.